U.S. officials say it's not at all clear why it was stolen. It could be, one official said, that whoever stole the truck had no idea what was inside and was more interesting in getting a truck. 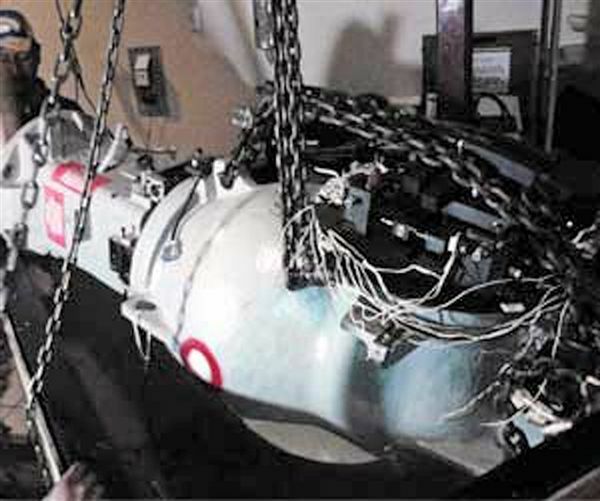 Jennifer Cole, head of emergency management at the London-based Royal United Services Institute think tank, said the cobalt-60 would be stored in a sealed chamber, known as a "sealed source." In the wrong hands, this can be dangerous, she said. "What happens with a dirty bomb is the material is exploded and each piece of shrapnel gives off radiation," she said. "Therefore it is over a large area and much harder to clear up. "More than anything, this can cause panic as there’s a huge amount of fear when radiation or radioactive material is mentioned." According to safety guidelines on the IAEA website, a "malevolent use of radioactive sources…could also cause significant social, psychological and economic impacts." There also are many documented cases of people unwittingly stealing or acquiring radioactive material and then becoming ill or dying. IAEA spokeswoman Gill Tudor told NBC News: "Such thefts are not uncommon, and the thieves do not necessarily know what they have in their possession in addition to the vehicle that may have been the original target. "In some cases, for example, radioactive sources have ended up being sold as scrap, causing serious health consequences for people who unknowingly come into contact with it." 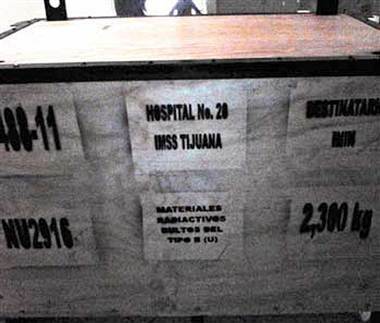 The sealed box containing the radiotherapy equipment. ...and in other news, Mexico acquires its first nuclear powered donkey. Bunch of idiots! What the hell they looking to gain from a truck carrying a bunch of radioactive waste? Melting enemy cartel members in a pot of acid-mixed nuke waste? I See In Our Future A New Torture Video! !